Box office khichri: Is ‘Bhaijaan’s’ arrival being delayed to accommodate ‘Bin Roye’? Pakistani cinema shares an interesting equation with Bollywood films. 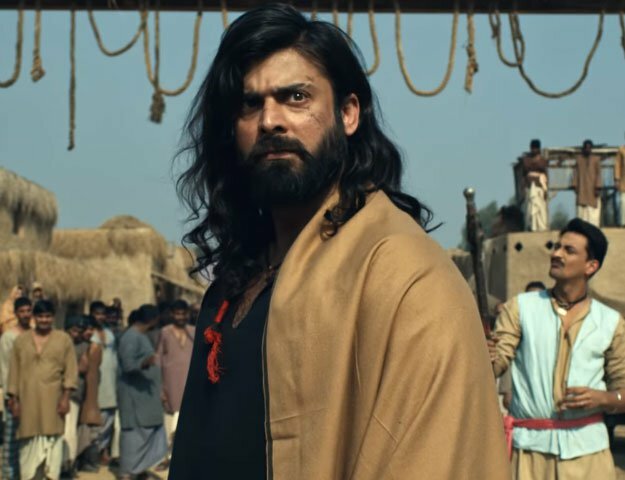 While the latter are appreciated for helping revive the cinema-going culture in Pakistan, Indian films also face criticism for overshadowing Pakistani films at the local box office. A closer look at the figures though would suggest otherwise. In 2013, Pakistani film Waar was released opposite the Akshay Kumar-starrer Boss, whereas in 2014 Na Maloom Afraad faced an uphill task at the start of its remarkable blockbuster journey when released in Pakistan just a few days after Hrithik Roshan’s Bang Bang. The result – both of these Pakistani films outlasted their Bollywood counterparts. Can it be the same for Bin Roye? Maybe not. With the Humayun Saeed and Mahira Khan-starrer Bin Roye slated to release on Eid-ul-Fitr, there seems to be clouds of uncertainty surrounding Salman Khan’s Bajrangi Bhaijaan’s timely release in Pakistan which too is expected to release on the same date. Sources revealed to The Express Tribune that Eveready Pictures, the company which holds the distribution rights to both Bin Roye andBajrangi Bhaijaan has decided to delay the release of the latter in an attempt to provide the Pakistani romantic-drama with more mileage. Acknowledging that his company is distributing both films, Zain Wali, the vice president of Eveready Pictures, is uncertain about delaying the film. “Bajrangi Bhaijaan has been granted a No Objection Certificate (NOC) by the government but the film is yet to be censored and only after that will we be able to make a final decision regarding the fate of its release in Pakistan,” Wali told The Express Tribune. He added that although nothing has been finalised right now, exhibitors too have agreed to provide Pakistani films Wrong No. and Bin Roye with a greater number of shows. Speaking to The Express Tribune, Badar Ikram, the president of Hum Films, a company that distributes films in collaboration with Eveready Pictures, refuted these rumours, saying, “This is not the case. The release of Bajrangi Bhaijaan will proceed as planned and the movie is going to release on Eid-ul-Fitr.” Ikram further asserted that box office collections reveal that since Pakistani films tend to outdo Indian films at the box office, they are not very concerned about Bajrangi Bhaijaan’s box office pull. Confident of their product, Wali explained why he expects Pakistani movies to out-perform Indian films, “Indian films do major business only on the first three days and are readily available on CDs and on TV on the second day of their release whereas Pakistani films can only be seen in cinemas as they are not pirated,” said Wali. The managing director of Super Cinemas, Khurram Gultasab, believes otherwise. He notes that considering the scale of the Salman Khan-movie, it was bound to do well in the Pakistani cinema circuit. “Bajrangi [Bhaijaan] is a film with mass appeal and it will do well in single-screen cinemas whereas Bin Roye and Wrong No. are films which are meant to be for multiplexs only.” Aware of the inner workings of the local film industry, Gultasab rued how unlike Bollywood films which tend to release throughout the year, Pakistani films only come out on special occasions like Eid, which as a distributor is increasingly difficult to do justice to. Dabangg banned on Eid in Pakistan. If Bajrangi Bhaijaan is held back for a delayed release in Pakistan, than this would not be the first case of its kind. In 2010, a group of filmmakers had gone to the cultural ministry and requested them to ban Indian film releases on Eid, as a result of which, Dabangg was not released on Eid. Where the film changed box office history everywhere else in the world, it released after Eid in Pakistan and had below-par running at the box office. That is because the film had run on cable TV multiple times during the three days of Eid holidays. As a result of this, cinema owners were not able to record the business which would help them compensate for the Ramazan break. Much like Bin Roye, last year, the Pakistani spy-thriller, Operation 021, shared the same distributor as the Bollywood film Bang Bang. IMGC Entertainment, now known as Distribution Club, was the distributing company responsible for both the films. Since Operation 021 couldn’t perform as per expectations on the box office, the exhibitors opted to replace it with Bang Bang. It turned out to be a win-win situation for the distributing company as the loss was neutralised by Bang Bang and the producers were the ones who ended up suffering. In hindsight, it may not be sensible for a distributor to release a Bollywood and Pakistani film on a major weekend.